Welcome to the website of the Ministry of Culture, Sports and Tourism of the Republic of Korea. 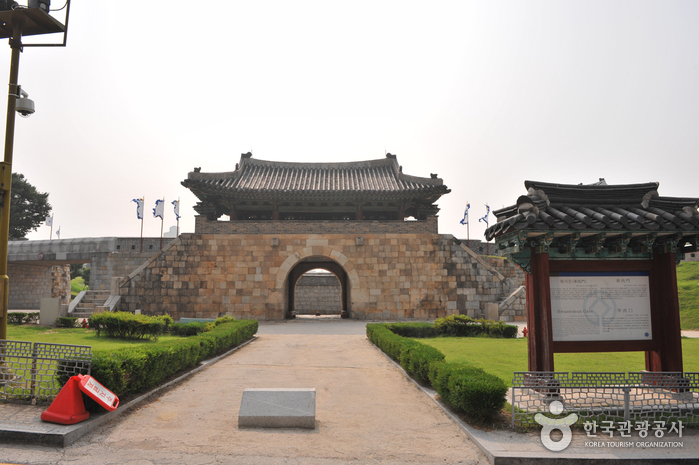 Hwaseong Fortress is an impressive structure from the latter part of the Joseon Dynasty (1392-1910) and the official fortress of Suwon-si, Gyeonggi-do. 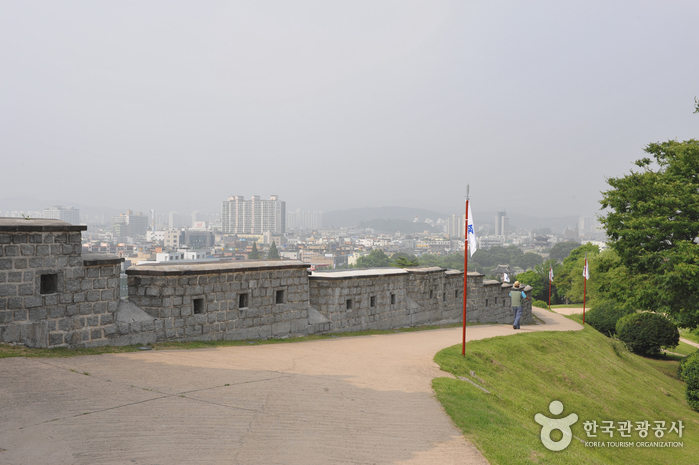 The fortress (constructed from 1794 to 1796) was built as a show of the King’s filial piety towards his father Jangheonseja and to build a new pioneer city with its own economic power. The fortress wall stretches for a total of 5.52km and has a great variety of military facilities that’s hard to find anywhere else. Four gates face each of the cardinal directions—Janganmun Gate (north), Paldalmun Gate (south), Changnyongmun Gate (east), and Hwaseomun Gate (west)—and the seven-arch style Sumun gates straddle the point where the nearby stream reaches the palace. Above the Sumun gates is a pavilion called Hwahongmun Gate. 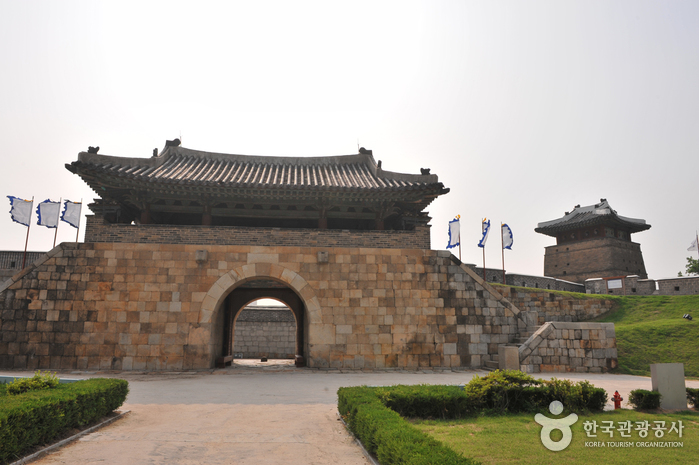 Hwaseong Fortress was constructed under the guidance of Yu Hyeong-won (1622-1673) and Jeong Yak-yong (1762-1836), and is believed to have been constructed very scientifically. 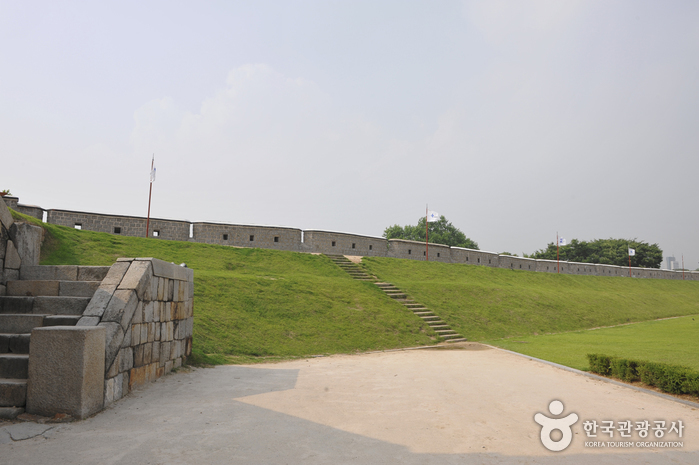 The fortress wall was built using Seokjae and Jeondol (bricks) and the holes between the bricks are just big enough to fire guns, arrows, or long spears through in case of an attack. During construction of the fortress Jeong Yak-Yong invented ‘Geojunggi,’ which uses a ‘hwalcha’ (lever) to lift up heavy stones, greatly reducing construction time. 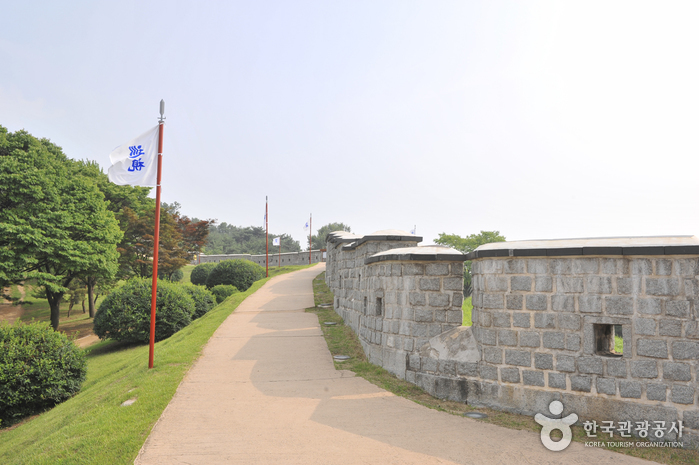 The Suwon Hwaseong Fortress went through many turbulent times and damage, and in the battle of June 25th, many of the facilities became so damaged that they were deemed irreparable. Even though the fortress restoration initiative (1975-1979) restored many of the sites to their former glory, Paldalmun Gate to Dongnamgakru (an area 491 meters in length) has still not been renovated. The fortress was designated as Historical Monument No. 3 in January 1963, and in December 1997, it was designated a UNESCO World Cultural Heritage Site. 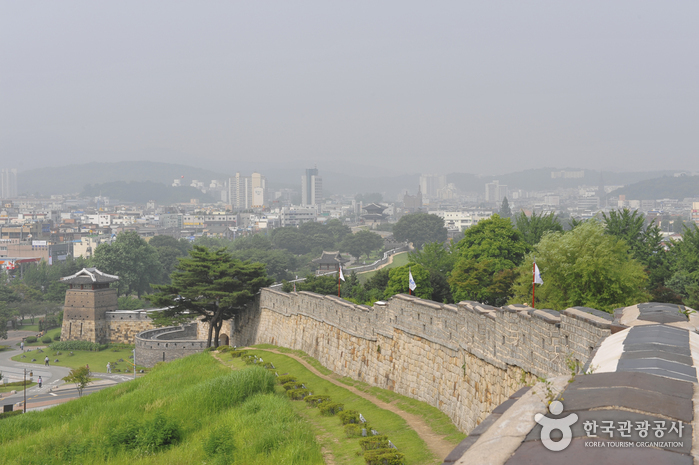 >> Click here for more on Hwaseong Fortress, a UNESCO World Heritage Site. Refer to the official website for details.